She Graduated at Salamanca University, and holds a Ph.D. in Fine Arts from Vigo University. She is professor in the areas of art, design and technology since 1994. Her professional development is directly linked to new technologies, artistic expression, and design. Since 2004, she is vice-dean of the Faculty of Fine Arts at Vigo University and founder and executive director of Fashion and Textile Design department in Galicia, Spain. 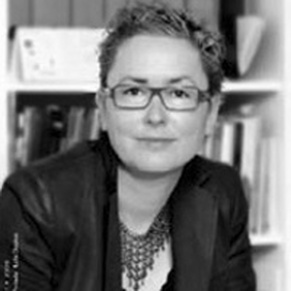 She has led projects as head of the research group DX7, Visual Laboratory are:@rtec; Art and Technology and Cultural Industries (2002-2004) in an Interreg III Program, Management and coordination of Artech Media 06 conference, art and technology (2006), Wiki-Map Galicia Culture (2006-2009), Needs analysis and design creation of graduate fashion sector (2009), "Study of the persistence of traditional forms and traditional processes in contemporary design in Galicia" (2010-13). She has directed Doctoral Dissertations in the field of art and design and her last publications are: Habitation and habits. Reflections on fashion and architecture (2011), The culture of the project and the "know how", a step beyond the dialogue (2012) or The return to the origin Innovation in design and crafts (2012). She has been curator for exhibitions, as “Paths in the design” with international roaming (2012-13), an exhibition based in a work selection about experimental proposals in fashion, design and crafts.